This October we’re hosting 14 of the world’s top experts to reveal if today’s fads will equal tomorrow’s fortunes. Seating Now Open! Only 400 spots available! 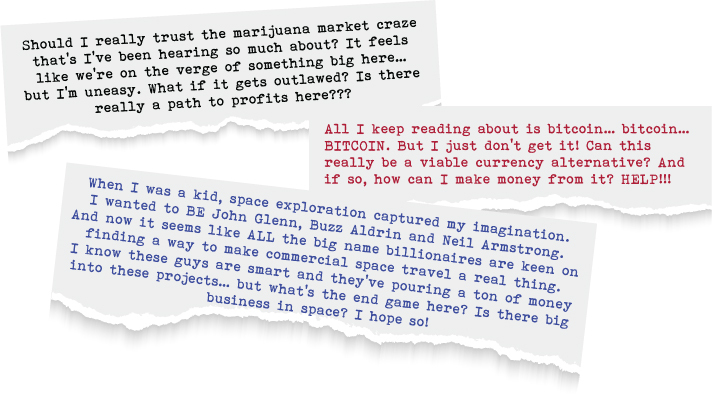 Over the last 6 months, we’ve heard countless questions like these asking us to devote more coverage to topics like bitcoin, marijuana and space exploration. The price of bitcoin has more than tripled since the start of 2017. At one point in May, the value of a single bitcoin spiked above $3,000, only to fall back down to around $2,245, before rising again to $2,758. Daily price fluctuations have been as high as $200 or $300. With more and more states legalizing cannabis, dozens of marijuana stocks have seen their valuations double, or perhaps run even higher, over the trailing 12-month period. And every year since 1976, space exploration has yielded over 50, market-moving technologies for commercial products. With big time backing investors like Elon Musk, Jeffrey Bezos, Mark Zuckerberg, Larry Page and Paul Allen behind them, these spinoff technologies are prime candidates to deliver what TheStreet.com is saying are already “astronomical profits”. It’s plain to see that if you’re in the markets, these industries demand your attention right now. And as always, Dent Research is committed to covering them from all angles. Bottom line: You asked, and we listened. And when you join us, October 12-14, at the Marriott in Music City USA - we’ll cut through the hype… the noise… and the confusion to deliver you the truth on whether these fast-rising (and controversial) industries will end up as a fad… or a FORTUNE for you. Brendan is the CEO of Privateer Holdings, the world’s first private equity firm investing exclusively in legalized cannabis. He and his company sit on the cutting edge of what could soon become America’s next great boom industry. And his goal is to become the worldwide leader in “corporate pot”. Brendan and the Privateer team have so far raised $82 million to launch a portfolio of global, responsible and mainstream cannabis brands leading the future of the industry – including portfolio companies Marley Natural, Leafly and Tilray, which quickly became the largest single supplier of medical-grade cannabis in Canada. Their momentum is quickly building… as is their reputation amongst big name investors. One of Privateer’s leading backers is Founders Fund and their partner Geoff Lewis, who’s also bankrolled companies like Lyft, Hampton Creek and Oyster, among others. It’s clear that the potential in legalized pot could be massive. And Privateer is staking their claim at the forefront of the industry with some lofty ambitions. He’s got the undeniable pedigree to do it too. Prior to founding Privateer Holdings, Brendan served as COO of SVB Analytics, a non-bank affiliate of Silicon Valley Bank that provided valuation services to early-stage start-ups and venture capital firms. And as CEO and President of Mindability, a software company focused on customer experience measurement. And at IES 2017, we’ll be hosting him for an in-depth presentation on where legalized marijuana is, where it’s going and what you should be doing about it right now. He’ll show you how to build a portfolio of global brands that will lead, legitimize and define the future of cannabis. The future is our theme this year at the Irrational Economic Summit. A future that’s could be practically limitless with potential profit opportunities on the horizon. BitAngels currently has over 600 members and has made more than 25 investments in bitcoin and cryptocurrency companies. Michael is one of the leading “go-to” experts on bitcoin and he’s spoken all over the world on it, including Bitcoin 2014, Satoshi Roundtable, South by Southwest, and TEDx Hollywood. “These days it only makes sense to use digital currencies. A penny in the United States costs two pennies to make. It’s possible that 20 years from now we won’t ever need to walk into banks to make transactions and file checks…"
Michael is also the co-founder and managing partner of bCommerce Labs, the first technology incubator fund focused on e-commerce companies for bitcoin and the blockchain, and a partner at Flight VC, where he helps run the AngelList Bitcoin Syndicate with legendary super-angel Gil Penchina. On top of all that, he’s also known as a public relations genius. He founded Marketwire, one of the world’s largest and most technologically sophisticated company newswires. Originally known as Internet Wire, Marketwire was acquired in 2006 for $35 million. Michael’s been in on cryptocurrencies since the beginning… and hardly anyone else in the world has their finger on the pulse of the industry. At IES 2017 in Nashville, he’ll tell you if bitcoin is simply “having a moment” or if cryptocurrencies are the future of finance. That’s why we’ve invited one of America’s most respected voices when it comes to space exploration and industry. Stephen was just 9 years old when he watched Neil Armstrong take one giant leap for mankind onto the moon… igniting his love for science, engineering, math and technology. 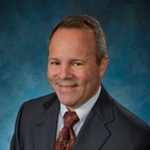 After getting his master's degree in engineering, Stephen spent 28 years working at NASA, including stints at the Johnson Space Center in Houston and NASA headquarters before becoming the director of space technology at NASA Langley Research Center in Hampton. 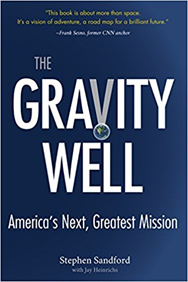 After retiring from the agency in 2014, Stephen began writing his dynamic must-read book The Gravity Well: America's Next, Greatest Mission, which details the benefits of a better funded space program. His view of space is the same as our view of investing - that the region beyond Earth is a steep, rugged terrain filled with challenges but also… vast wealth. As far as investing goes, we couldn’t agree more. “Ten years from now, we will have a base on the Moon.” he says. “Twenty-five years from now, we will be mining the asteroids near and beyond Mars. A single asteroid, no wider than your living room, can contain $10 billion worth of gold, along with platinum, tungsten, and the rare earth metals we desperately need here, where supplies are running low. Along with those metals, we’ll extract iron, nickel, aluminum and titanium to construct new bases on Mars and in space. On other asteroids we’ll obtain water and oxygen to sustain life, as well as hydrogen, oxygen, and ammonia for fuel. Talk about aiming for the stars! The potential Stephen is describing is mind-blowing. NASA’s ingenuity and partnerships have saved thousands of lives, created thousands of American jobs and led to the development of technologies that have changed our lives right here on Earth. 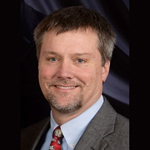 - IES 2016 attendee, Kent G.
The GPS for instance, is a direct result of research and development that’s taken place in space. So is the Intuitive IV Catheter, which helps phlebotomists more easily and accurately find veins to tap into. It literally docks with the blood vessels, the way a space vehicle docks with the International Space Station. Without the more than 250 satellites now in orbit around the planet you may not even have the capability to be reading this letter on your computer, phone or tablet right now! And it’s estimated that for every dollar spent on space exploration, that “knowledge ore” brings back as much as $14! In June, President Trump signed an executive order to revive the National Space Council, aimed at reinvigorating America’s space program. And Stephen has stated just how vital these kinds of moves are to also bringing our economy into the next century. "I try to show how powerful it is to solving some of these problems that we're dealing with. We're struggling with what the next economy is going to be with the United States and we're struggling with our standing in the world today," Stephen says about his book, The Gravity Well… as well as the years of research and experience he’ll bring with him to IES 2017. 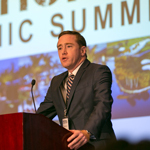 He’ll show you the best ways to profit from space exploration’s new golden age when you join us, October 12-14 in Nashville at the 5th Annual Irrational Economic Summit. Harry Dent’s almost endless list of friends, colleagues and contacts makes it easy to round out our guest list for IES every year. To that end, Lacy Hunt, one of our most popular speakers, will be back again in 2017. Lacy is Executive Vice President of Hoisington Management Company, where he manages over $5 billion dollars’ worth of pension funds, endowments, insurance companies, and others. He holds a hard line against the excessive debt that grips the global economy. And he shares our view that government has furthered our current predicament. Instead of using sound fiscal solutions to “right the ship,” we’re fanning the flames by taking on more debt and aggravating the problem. At the summit, Lacy will reveal his top 5 impediments to all the growth promised by Trump policies as well as his latest research. 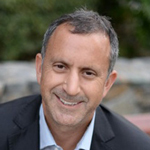 Howard Lindzon, world renowned technology venture capitalist will join us at IES 2017 discuss his #1 strategy for finding the next 1,000% stocks. Howard’s the visionary whose angel investments were key to the launch of Ticketfly, Buddymedia, Golfnow, Lifelock, Stocktwits and many more. He’s also shepherded lucrative deals with Twitter, Ebay, Pandora, Comcast, and CBS Interactive to name just a few. These deals have collectively been worth over $2 billion to him and his partners. 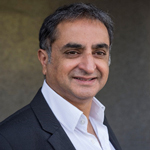 He’s one of the most sought-after entrepreneurs, experts and angel investors in the world today. But what if I told you that Howard Lindzon’s incredible success has hinged on just a single, simple, overlooked profit indicator that historical analysis shows since 1995 would have predicted 1,324 triple-digit winning stocks? Or that it would have handed you windfalls from Apple, Google, Amazon and hundreds of other millionaire-minting companies? At this year’s Irrational Economic Summit he’ll show you how it’s entirely possible to capture as much as one-third of all stock market gains just by using this indicator to not only invest in the industry leaders of today… but also how he uses it to identify the private market startups that will either challenge those leaders… or get snapped up by them before they even get the chance. This little-know profit tool is called the Peloton Effect. Everyday people are already using this incredibly simple indicator to capture gains from 105% all the way up to 575%. And not only will Howard reveal how the Peloton Effect works, he’ll also give you details on how to use it for yourself… with the debut of his brand NEW monthly newsletter that we’ll be publishing for him. Inside this new letter, Peloton, Howard will virtually give you total access to his expertise in discovering the next tech superstars… and the safe, unique way to play them… through actionable recommendations each month. He’s also one of the most engaging and fun guys in the industry today and you’re going to love his presentation. Andrew Pancholi, General Partner and Portfolio Manager at Fidelis Capital Management and creator of the Market Timing Report. Andy is Harry’s “go-to” man when it comes to timing the markets. He’s also maybe even a little more obsessed about cycles than Harry himself! There he warned Harry, Rodney, and the others, of the imminent collapse of the Euro, stating not only the EXACT date it would happen, but giving them the price within a handful of ticks. It really pays to listen to what Andy has to say. Not only has he accurately time the collapse of oil, but he also forewarned of the UK’s financial challenges a full six months before Brexit. He also called the commodity bull markets in 2008 and 2010. 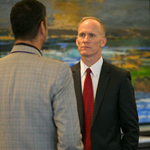 Meeting this man, listening to what he has to say, will give you a significant edge. Just like those who now follow Andy loyally, you’ll be able to grab opportunities with near-perfect timing. Mark Gordon will take us to the sea. Mark is the President and Chief Operating Office of Odyssey Marine Exploration, a NASDAQ-traded company engaged in the exploration and archaeologically-sensitive recovery of deep-water shipwrecks. He adamantly believes in following your dreams…and at this year’s Irrational Economic Summit, he’ll explain not only how you can do this…but how you can finance it as well. It starts with making smart investments. Odyssey uses innovative methods and state-of-the-art technology to conduct extensive deep-ocean search and recovery operations. “[The Irrational Economic Summit] is a great environment. There’s great information, not only from an economics perspective, but there’s also actionable information"
-IES 2016 attendee, Tina L.
Its discovery and excavation of the Civil War-era shipwreck the SS Republic made international headlines, and resulted in the recovery of over 51,000 U.S. gold and silver coins and nearly 14,000 artifacts. It’s made such incredible discoveries, and Mark will share the stories with you because in each there’s an investment lesson to learn. Mark’s path to his dream has been deliberate. He thought outside the box and is reaping the rewards today. His unique presentation at IES could help you do the same. 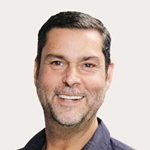 Raoul Pal, CEO and Co-Founder of the multi-media empire, Real Vision Group. Raoul’s also CEO and Founder of The Global Macro Investor, which is an elite macroeconomic and investment strategy research service for the world’s leading hedge funds, pension funds, banks and sovereign wealth funds. But that’s not enough to Raoul. On top of that, he’s an advisor to government organizations and a consultant for several family investment offices globally! He wrote The End Game, the most-read financial article in the history of the Internet. He helped make the successful BBC TV series “Million Dollar Traders,” where he undertook the financial market and investment training of the contestants. The insights this man will share with you in October come from 24 years working for investment banks like Goldman Sachs, and all his other achievements. Our founder, Harry Dent will provide you with a clear picture of the road ahead. The four most dominant cycles being - demographic, technological, geopolitical and commodities. By mastering this science of cycles analysis, Harry’s able to forecast dozens of significant events, including Japan’s collapse in 1989, the housing bust in 2007, the roaring 2000s, gold’s meltdown, and the great recession of 2008-15, oil’s shocking price drop a couple years back as well as the dollar’s resurgence. -IES 2016 attendee, Mark C.
Oh and he also predicted the election of Donald Trump months in advance… back when hardly any pundit was giving him a chance. And he’ll detail all that in his brand NEW book, releasing soon – Trump, Brexit and the Next Civil War, which he’ll preview exclusively at IES 2017. The future is unpredictable, but with Harry you’ll come as close to seeing what lies ahead as possible. And the good news is, Harry says we’re heading right into the sale of a lifetime. The kind where you can find opportunities that could make you millions! We’re talking Carnegie-style wealth. There’s just one catch: These opportunities will only appear at specific times, and be in very specific places. And every one of the leading experts flying out to Nashville this October 12-14, will have details not only about these hidden gems, but also about how to find them. Dent Research co-founder Rodney Johnson works closely with Harry to study how people spend their money as they go through predictable stages of life… how that spending drives our economy… and how you can use this information to invest successfully in any market. He’s also the action guy, always on the hunt for safe yet powerful investments and strategies. In fact, Rodney recently created an exclusive group of top stock picks, pulled from all of Dent Research’s newsletters, that he calls the Dent Cornerstone Portfolio. He actively aggregates this model portfolio for a small group of our readers… even recommending what % of money is best allocated to each recommendation. 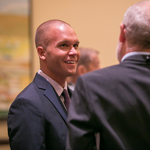 - IES 2016 attendee, Daniel S.
There’s no better person in our group to be handling this very special research service that SO many of our readers have been asking for. Rodney began his career in financial services on Wall Street in the 1980s with Thomson McKinnon and then Prudential Securities. He’s a regular guest on several radio programs, including America’s Wealth Management and Savvy Investor Radio. 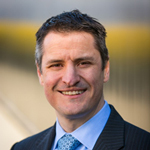 Adam O’ Dell is Dent Research’s Chief Investment Strategist, and creator of the highly successful Cycle 9 Alert and 10X Profits investment research advisories. He’s a Chartered Market Technician, and an affiliate member of the elite Market Technicians Association. At IES 2017, Adam will show you how to shield your investment portfolio thanks to his exhaustive back-testing and probability-based research that will allow you to make money… no matter what the markets are doing. The market will be extremely volatile and unpredictable in the months ahead, but you can use this to your advantage with Adam’s proprietary strategy and system for making money now. Adam definitely colors outside the lines when it comes to investing. And the profits his followers have enjoyed to date are proof-positive that this guy is a market genius. With Adam’s guidance alone, you could potentially get 22% gains per trade in the next year… thus turning every $10,000 into more than $105,000 in just one year… while everyone else stays pinned to the floor under the foot of Wall Street. Charles Sizemore is a self-confessed tightwad. His sole focus is to put as much money he can to work for him… even before the tax sees a red cent. And he shares with his followers how to do the same. In October, he’ll impart many of his tricks and secrets to doing what he considers critical to your future: Building a steady, reliable, safe income stream and making money in the markets. 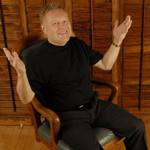 He’s creator and Editor of two popular publications: Dent 401K Advisor and Peak Income. He’s a frequent guest on CNBC, Bloomberg TV, Fox Business News and Straight Talk Money Radio… and Harry’s go-to retirement expert. His session at IES 2017 will be the equivalent of sitting down with one of the nation’s top retirement advisors for a strategy session on the future of your wealth! John DelVecchio is an accounting sleuth, otherwise known as a Forensic Accountant and has fine-tuned an investment system that sees through the Wall Street and Main Street shenanigans. Using six tests to score a company’s financials, and an incredibly complicated algorithm that he created, one of these services – Forensic Investor – identifies those businesses showing signs of weakness. He was among the first to short Big Blue (IBM) right at the time the ship began to sink. And his closed recommendations inside Forensic Investor sit at a nearly 80% win rate! Knowing how and what forensic investment analysis can do for you will be critical as we head into the final quarter of 2017. 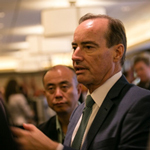 -IES 2016 attendee, Samuel R.
And while that might look good to analysts… it can potentially plant dangerous ticking time bombs in your portfolio that could take the entire thing down in the blink of an eye. Lance Gaitan is our Treasury insider and will show you how to make double and triple digit gains inside the most boring (yet safe) sector of the market. It’s an area most investors overlook because they don’t realize there are micro moves taking place there all the time. Micro moves that Lance is able to leverage for gains as high as 148%... 90%... 94%... 76%... 88%... 112%... and 137%. Before joining the team Lance founded a futures trading firm called GSV Futures. It specialized in retail commodity trading strategies. Before that he managed the futures trading desk for Piper Jaffray. He brings a wealth of experience that can help you profit in volatile times… like the ones we see lying dead ahead of us once this historic financial bubble bursts. break the mold and boldly go where others fear to tread. Places like space with Stephen Sandford… the cannabis and bitcoin markets with Brendan Kennedy and Mark Terpin… to the deepest depths of the ocean with Mark Gordon. We’ve strived this year to help you break through Wall Street’s traditional borders… and to find new and exciting ways to profit. Thinking outside the box? We’re thinking outside the PLANET. I urge you to join us this October 12-14 in Nashville, TN and break free of the old, stodgy, traditional ways of investing. And when you accept this early invitation today, I’ll take $500 off the normal cost of the ticket. This event will be unlike any summit you’ve ever attended, even if you joined us in previous years. It’s not about a group of people fidgeting in uncomfortable chairs while boring speakers you’ve heard from for years drone on from the stage. Walking away with an actionable plan, supported by facts… not sales pitches. 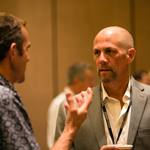 Talking… to each other and learning from the experts who have gathered to talk to you! 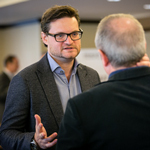 It’s about picking Harry’s brain… or Lacy Hunt’s... Brendan Kennedy’s… or Stephen Sandford’s… or any of the other “Quants” that will be there exclusively for attendees. It’s the start of your journey toward wealth beyond Wall Street’s traditional limitations. Because of the intimate nature of the Irrational Economic Summit, we must limit the number of people who can attend to just 400… of which 100 seats have already been reserved by our Network VIP members. That may still seem like a lot, but considering more than 350,000 people will receive this message, it’s barely any seats at all. There’s room for just 0.1%! Without a doubt, IES 2017 will sell out fast. It has sold out every year since we started in 2012. So I encourage you to reserve your seat right now. IES 2017 will take place at the Nashville Airport Marriott, located just minutes away when you step off your plane… and just 7 miles (a 13 minute ride) from downtown. And this year we’re offering more benefits than EVER to our attendees! A complimentary cocktail reception on October 12 and 14th. Complimentary lunch for all attendees on October 13th and 14th. Unlimited access to the exhibit hall, where you can discover the precise resources you need to begin this journey to financial freedom. 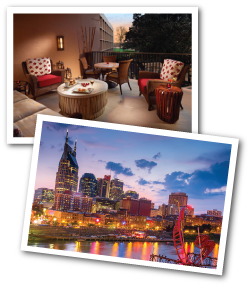 Complimentary shuttle service bringing you to downtown Nashville on all three nights. The shuttle will depart the hotel after the conference sessions end and drop attendees off at Riverfront Park downtown. The shuttle will also bring you back to the hotel each night as well. And of course, the wealth of knowledge and takeaways from all of the presentations you’ll be in attendance for is practically invaluable. But we have a firm cap on the amount of people we can accommodate in our space this year. And as always, seats the Irrational Economic Summit are first come, first serve. So please, don’t consider joining us for TOO long. 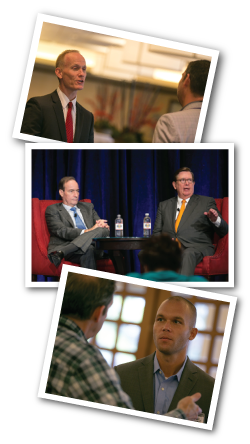 We’ve never featured a panel of experts so dynamic… so in tune with TODAY’S hot-button topics… and bringing such a top-notch level of industry insight and expertise. Plus, with Nashville just a 7 mile FREE shuttle ride away from our location, you can experience everything Music City USA has to offer during our off hours. It’s going to be an incredibly fun and worthwhile three days that you’ll never forget. Or call our VIP desk at 1-855-245-7301 to register. We look forward to meeting you, separating FAD from FORTUNE and helping you break free of the irrational borders that have held your wealth in check for too long. See you there at IES 2017!